나트랑, 베트남의 센코텔 냐짱 | 호스텔월드에서 예약하세요. 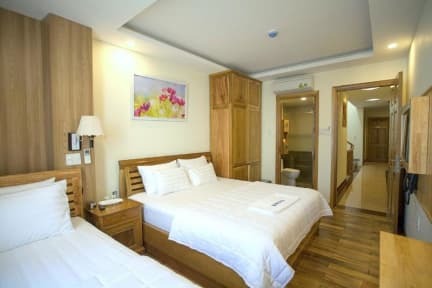 Excellently situated in the heart of Nha Trang city, Senkotel is within easy reach of all Nha Trang’s main attractions, and just less than 2 mins walking to the beach and night market. The famous Sailing Club, Bar, Pub, spa and massage, Asian and Western restaurants, ATM... are within 3 mins walking. 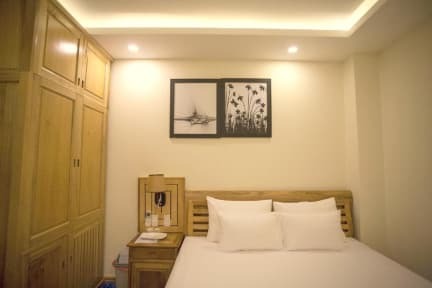 Embracing elegant Vietnamese charm and modern facilities, 25 guest rooms offer you great comfort, refined style and a wide range of services that take care of your daily needs, either you are backpackers, young family with children, couples or travelling for business purpose. Check in from 14:00 to 23:59.